When I tell you about this product I must insist that my opinion has nothing to do with the fact the people at SteriPEN sponsored me for Fuego y Agua Survival Run: Hunter Gatherer. While I am very thankful for their sponsorship, I’m even more thankful for this amazing product they created. 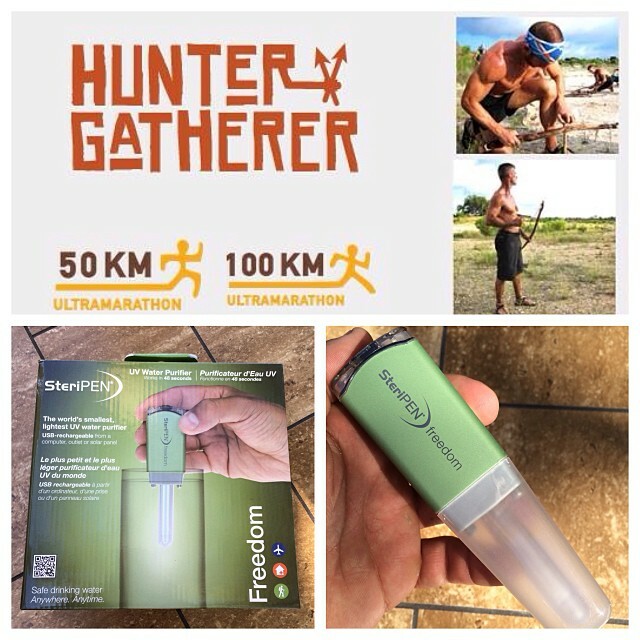 The SteriPEN Freedom is the most incredible tool I had during that wicked hard extreme endurance challenge. 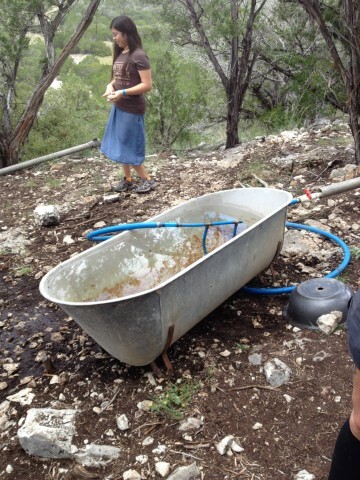 Part of the challenge was purifying all of the water that we drank throughout the duration of the race. It was required that we have some form of water purification system on hand for the race and the SteriPEN line was recommended to us. The SteriPEN Freedom not only had the battery power to last the entire event but it also doubled as a flashlight in case I needed it. Basically Ultra Violet light is used to purify the water, you insert the wand into your canteen or water container, make sure it has a big enough nozzle as you need to fit the metal sensors into the water to activate the UV Light. Once inserted you just swirl it around for 48 seconds or until the green light stops flashing and becomes steady. And just like that you have yourself up to a liter of purified water. If your container is more than a liter you’ll have to do the swirling an additional 48 seconds for every liter. Okay, so what about how well it purifies? Can this “magic” wand really purify water that quickly? When I tell you that the water we were drinking was some of the most disgusting water I’ve ever ingested I’m not exaggerating or even coming close enough to giving you an accurate depiction of what it was like but know that it went down just fine. All it takes is 48 seconds to purify one liter of water. Not too shabby. Iodine tablets can take up to a half hour to purify the water and usually leave you with a not so delicious taste. With the SteriPEN Freedom there was no added taste. Just purified, clean, safe H2O. The most important element for survival. Most of the water we sourced from was greenish in color, infested with mosquitos and larvae. Like I said, disgusting. But even the water from the cow trough was no match for the SteriPEN Freedom. I collected three liters of water at the trough and chugged one of them down in less than a minutes time. What’s comforting about the SteriPEN is the speed at which it purifies. As long as you can source water you can be drinking it in under a minute. I like that. A lot. The big question. Should you buy it? Yes. 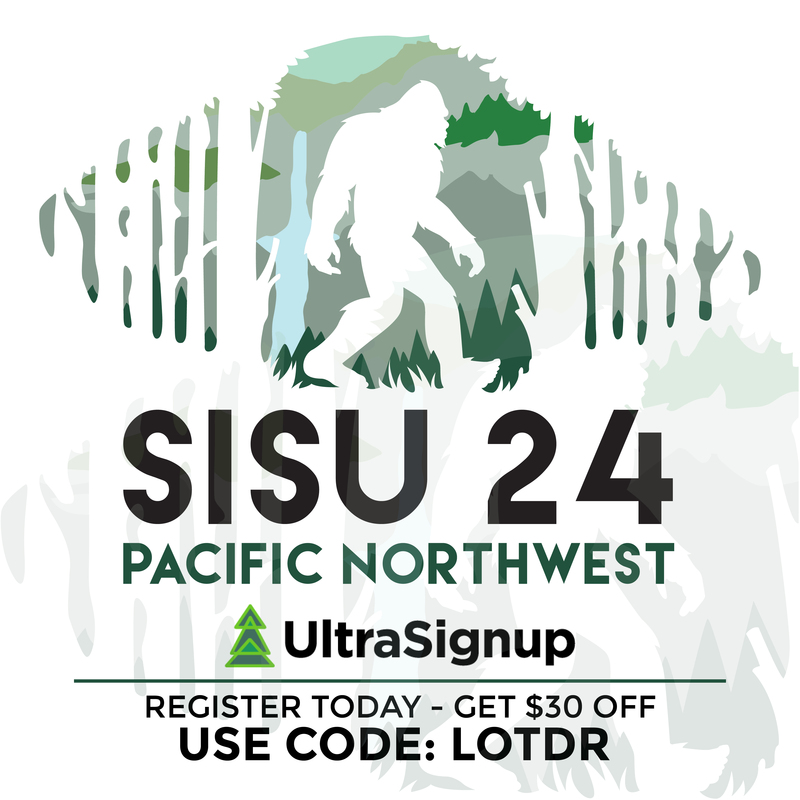 While this item is expensive I highly recommend it for any sort of survival/endurance race you might be planning to tackle. Even for the avid hiker, or adventurer this is a tool that should be in everyones bag. Water is the most important element to our survival, having the ability quickly and easily purify water in minutes is a no-brainer. I pretty much bring mine with me everywhere. Lasts 3 days on a single charge! my own blog (well, almost…HaHa!) Wonderful job. I really enjoyed what you had to say, and more than that, how you presented it. Looking forward to reading more. Great post.Many thanks again. Cool.